This simple dessert will WOW your guests! 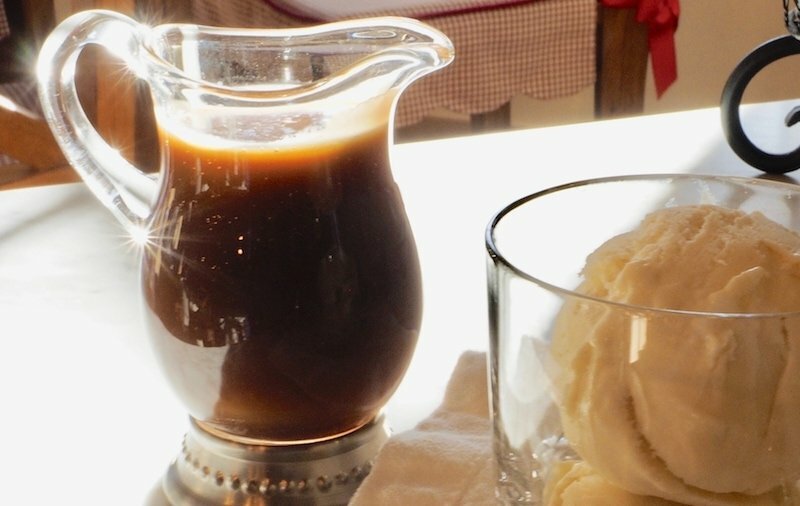 Bourbon Caramel Vanilla Sauce is rich and creamy, with a hint of salt that brings out the rich caramel flavor and sweetness of the bourbon. This elegant sauce mixes up in just a matter of minutes and is fabulous used warm or stored in your refrigerator for a later time, and is beautiful poured into a pretty glass jar, wrapped with ribbon for a sweet food gift. 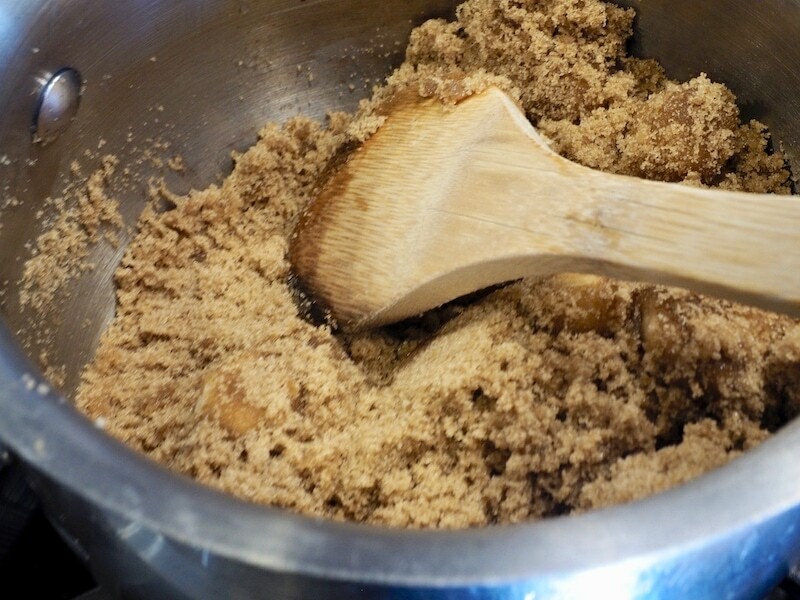 You may use all light brown sugar, but I love the deeper flavor using both dark and light. 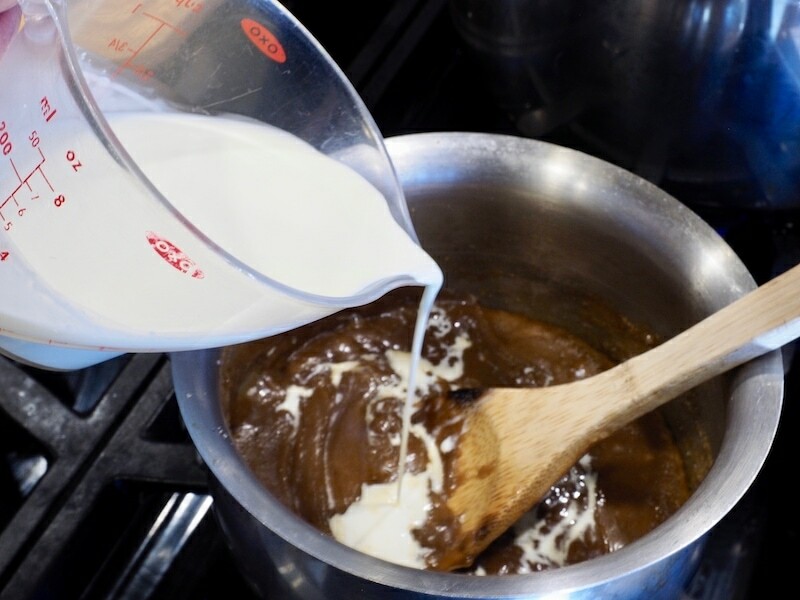 Add the packed brown sugars and cubed cold butter into a medium heavy-bottomed sauce pan. Over medium-low heat, mix and melt the sugars and butter until melted, it’ll start pretty grainy, but stir away and the sugars will begin to melt into the butter. Stir for about 7 minutes, stirring the whole time. It’ll get nice and thick, but it might still be a bit grainy. Very slowly, add in your heavy cream while whisking/stirring steadily. Next add your vanilla and bourbon*, whisking until it’s smooth.You gotta get one of these mini measuring cups!! Raise the heat until to medium and bring the mixture to a boil. Boil for 60 seconds, the mixture will get tiny bubbles and start to rise in the pan. Remove from the heat and whisk in the salt. If it gets clumpy just whisk it until it’s smooth again. Cool for 10 minutes in the pan, then pour into a jar for serving or storing. 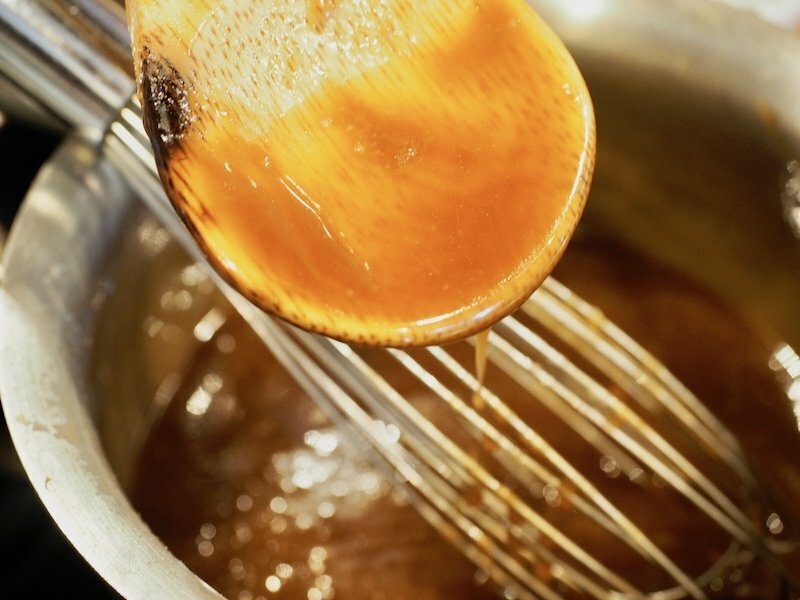 Look at that beautiful caramel; a rich, thick, golden sauce! If not using immediately, allow to cool at room temperature completely before refrigerating in a sealed jar, like a mason jar or clean and dry jelly jar. To serve, warm up desired amount in microwave for 20-30 seconds. 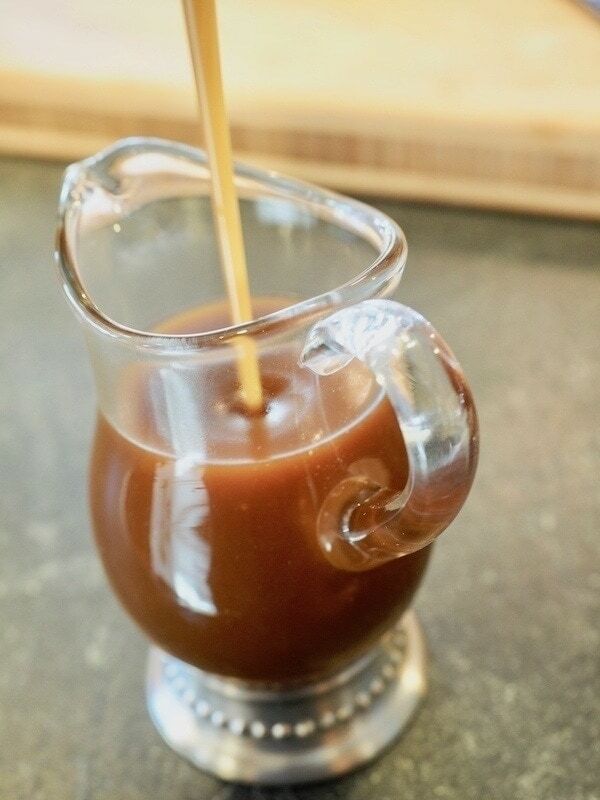 *If making this for kids or those who are gluten free, replace the bourbon with vanilla extract. If you enjoy this sauce, try these other rich and elegant recipes! 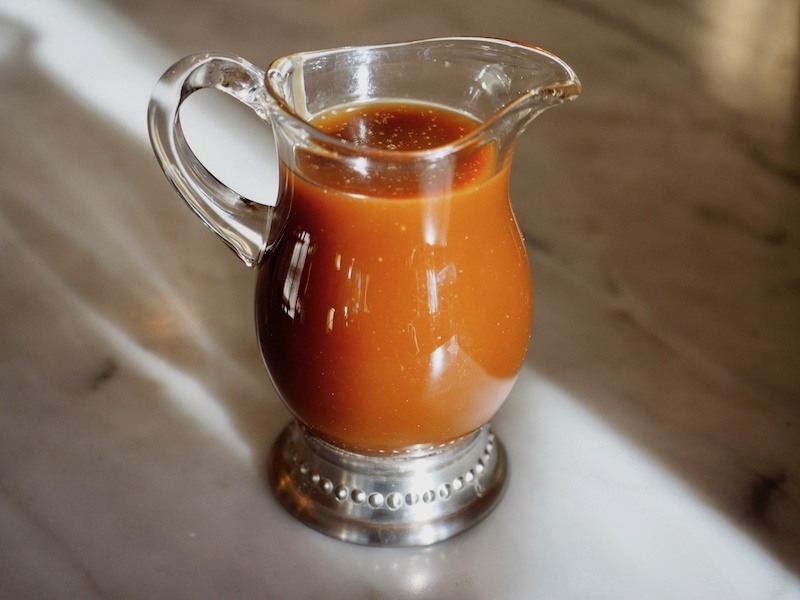 Need a quick, elegant, simple dessert sauce to wow your holiday guests? 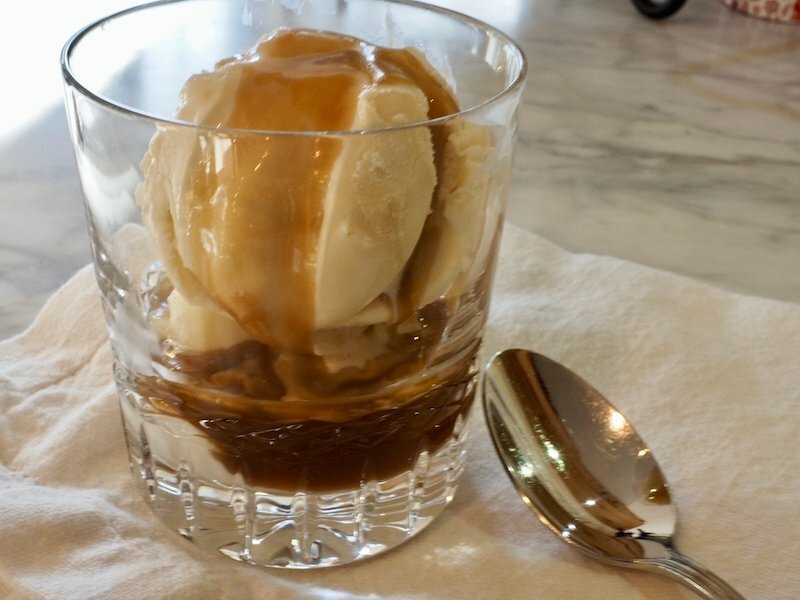 This Vanilla Bourbon Caramel sauce is rich and creamy, a little bit salty with a hint of bourbon. 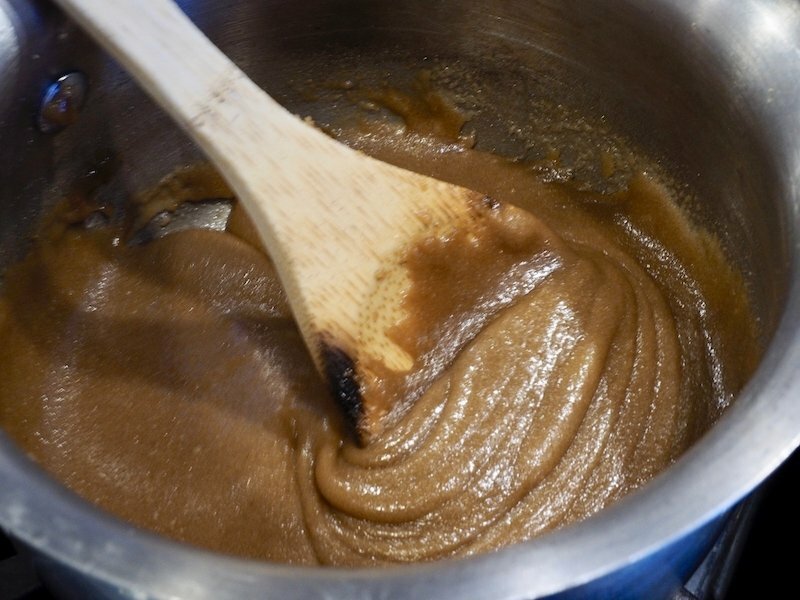 Place the brown sugars and butter into a medium heavy-bottomed saucepan. 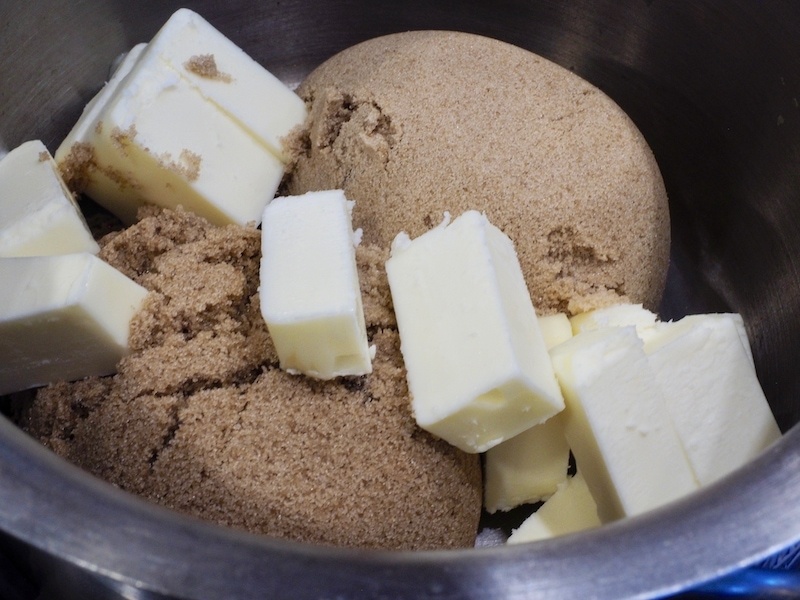 Melt sugar and butter over medium-low heat. Cooking and stirring constantly, about 6-7 minutes until it gets nice and thick. It might be grainy, but that will change. Very slowly, pour in your heavy cream while whisking to combine. Whisk in your vanilla and bourbon, whisk until smooth. Raise the heat to medium-high, bringing the mixture to boil, tiny bubbles will break the surface. 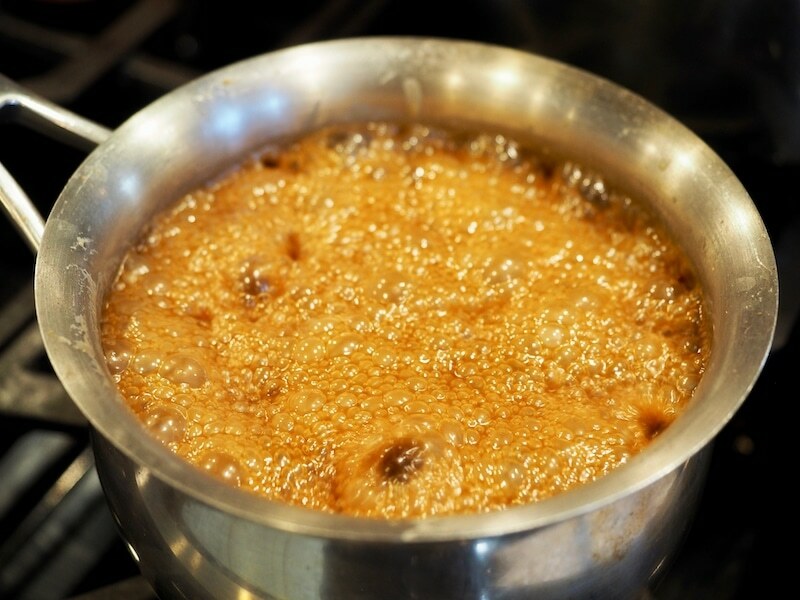 The caramel will bubble and rise, boil for 60 seconds without stirring. If waiting to serve, cool to room temperature before refrigerating. 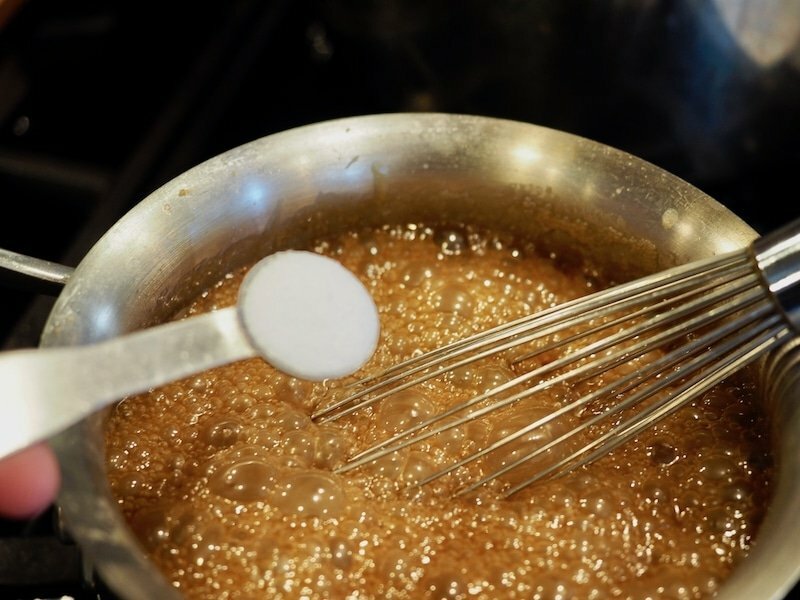 Caramel sauce may be reheated, by pouring desired amount into a microwave safe dish and heating for 20 seconds until warm. 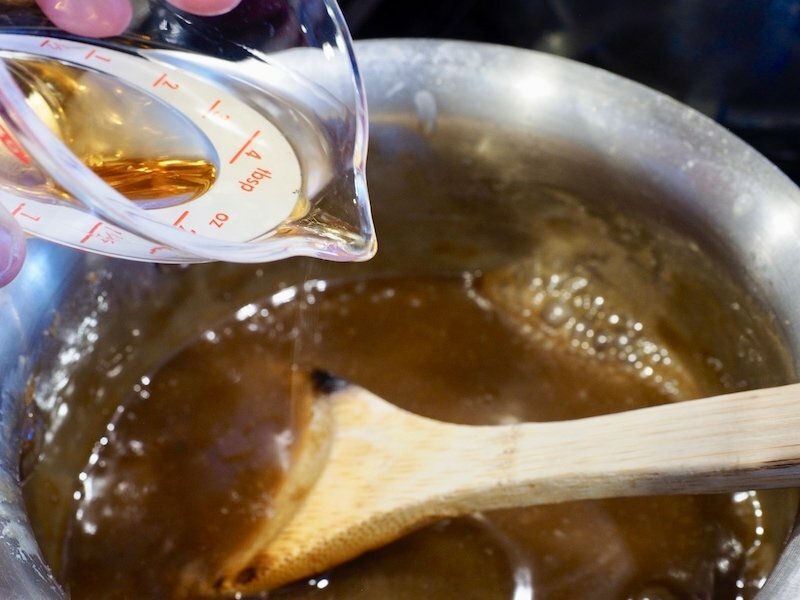 *If making for kids or someone who is gluten free, replace the bourbon with vanilla extract. 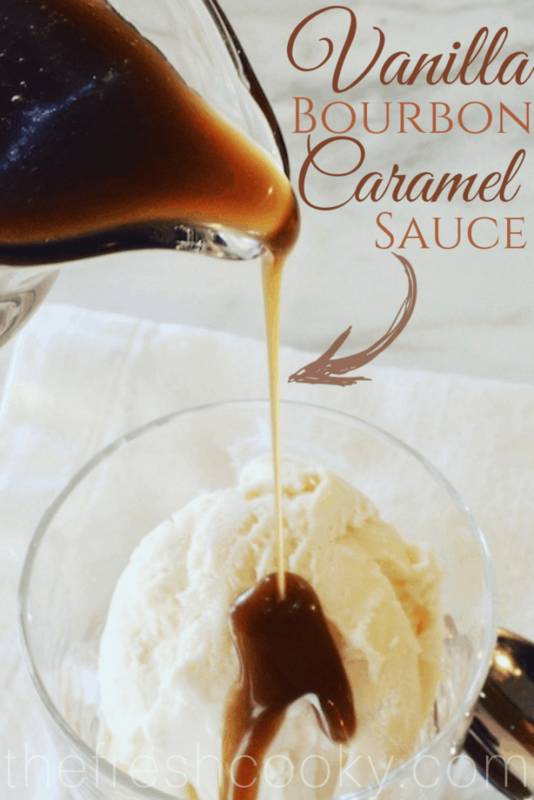 Copyright 2017 | This recipe for Bourbon Vanilla Caramel Sauce was featured first on The Fresh Cooky.